A new Asian fusion spot with a sideline in souffles has debuted in the neighborhood. The new addition to the Inner Richmond, called Lovessy Asian Fusion & Souffles Bistro, is located at 832 Clement St., the former home of Hawaiian eatery Grindz. At this cheery bistro with wood-paneled walls, the menu is focused on Asian-meets-American eats like grilled octopus in a garlic butter cream sauce and clams in a coconut sake broth. Hearty entrees include prime Angus ribeye steak served with potatoes, baby carrots and miso sauce; rack of lamb with strawberries, baby greens and balsamic glaze; and king salmon with mushrooms, spinach and creamy bonito broth. Dessert souffles, which serve two, run a cool $20, and take half an hour to bake. Signature flavors include the Lovessy (rose and matcha), dark chocolate, passionfruit-banana and durian. The fresh addition has proven popular thus far, with a five-star rating out of 18 reviews on Yelp. "The service was good and the food was phenomenal," Yelper Diane Z. said. "Got the steak and the lamb. Both cooked perfectly medium rare. The sauces paired very well with the meat, but the souffle was phenomenal and stole the show. It was soft and fluffy, with the right amount of sweetness." Yelper Tyler W. added, "Lovessy's take on Asian fusion fills a niche in the neighborhood for a slightly upscale dining experience. The cushions along the wooden wall create a very warm environment and the servers are very attentive. 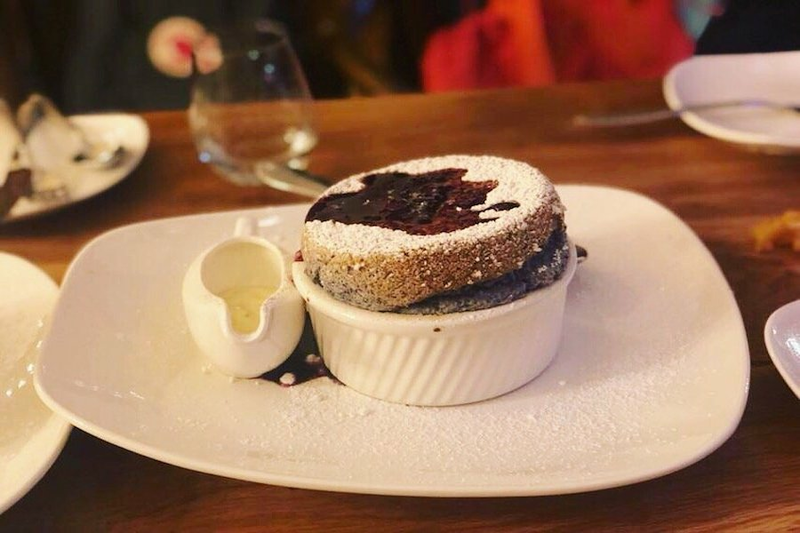 While the entrees were very good, the souffle was the real showstopper. I firmly believe that I have never had a legit souffle until now." Interested? Stop by to welcome the new business to the neighborhood. Lovessy Asian Fusion & Souffles Bistro is open from 5 p.m.-midnight on Monday and Tuesday and 5 a.m.-midnight on Wednesday-Sunday.